Inheritance. 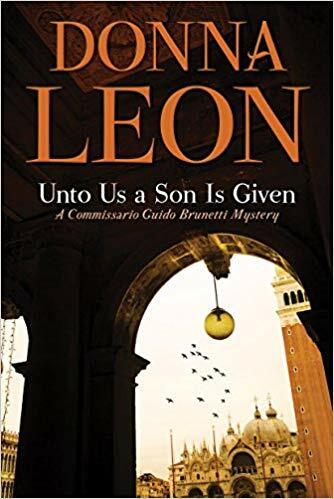 The twenty-ninth installment in the Commissario Guido Brunetti series by Donna Leon set in Venice is titled, Unto Us a Son Is Given. For the first time in my memory, we have an extended one on one conversation between Guido and his father-in-law, and a request for help from the older man to the younger. Leon explores in this novel the things we do for love and the essence of inheritance. There’s an adult adoption at the core of the story, and the ebb and flow of friendship across decades. Longtime fans may be surprised by what Guido is reading. Readers who enjoy character-based crime novels with complex and interesting characters are those most likely to enjoy this novel and this series. Rating: Four-star (I like it) Click here to purchase Unto Us a Son Is Given from amazon.com. Voice. 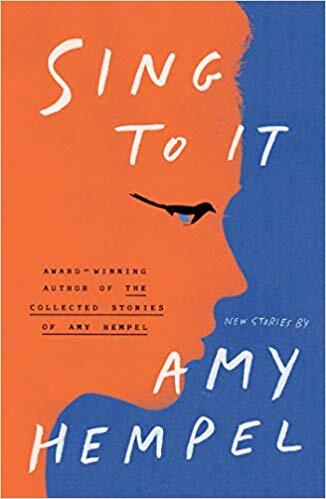 Amy Hempel presents readers with an eclectic range of fifteen short stories in a collection titled, Sing To It. Some of the stories are very short and still complete. With great economy, she can capture emotion using just the right words. Her voice can come across as odd and a bit quirky, which may distract some readers. You can find laughter and pain in sentences that follow each other and feel that juxtaposition is perfect. The longest story, Cloudland, surrenders economy for taking us to many places and to different emotions with depth and insight. Fans of finely written literary fiction are those readers most likely to enjoy the stories in this collection. Rating: Three-star (It’s ok) Click here to purchase Sing To It from amazon.com. Connections. 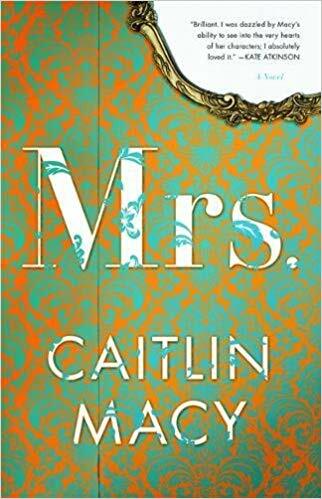 Caitlin Macy set her novel titled, Mrs., on the Upper East Side of Manhattan, just after the financial crisis, and offers a cast of characters including the old rich and the new rich. One connection among the characters involves their children who attend what all the elites know is the best private school. Backstories and past connections among characters provide depth to the novel in which Macy delivers great insight into the lives of the wealthy in Manhattan. There’s a group of school moms who provide the bitchy equivalent of a Greek chorus. At the core there’s a smaller cast of characters of deep complexity and secrets. Macy uses multiple points of view to draw us into this world. While lots of readers will enjoy this novel, it seems tailor made for book clubs, especially ones with school moms. Rating: Four-star (I like it) Click here to purchase Mrs from amazon.com. Identity. 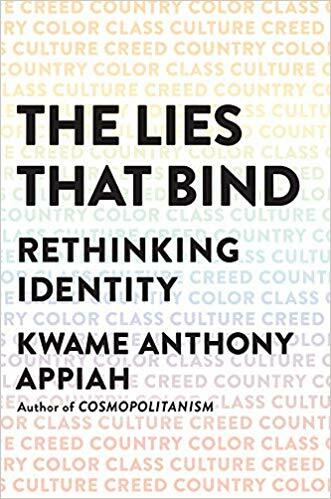 Kwame Anthony Appiah offers a framework for thinking about identity in his book titled, The Lies That Bind. Many readers will find assumptions challenged about how identities work. Appiah reveals how our assumptions have been forged, whether as a consequence of conflict, or a result of poor science. Our differences are not as great as we may think they are, no matter how we define “we.” There are great stories and clear thinking on these pages. Any reader who enjoys philosophy written for a general audience will likely appreciate this book. Rating: Four-star (I like it) Click here to purchase The Lies That Bind from amazon.com. Complicated. 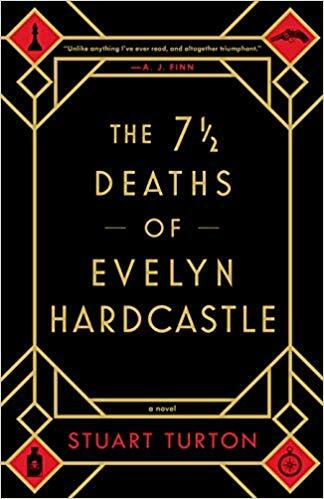 Fans of murder mysteries who are bored with plots that are simple to solve are those most likely to enjoy Stuart Turton’s complicated debut novel titled, The 7 ½ Deaths of Evelyn Hardcastle. Protagonist Aiden Bishop is trapped inside Blackheath House. He can be released only after he identifies the killer of Evelyn Hardcastle. Aiden has eight days to do this, and over the course of each day he inhabits the body of one house guest. The creativity and twists will delight those mystery readers who can be patient with the complicated exposition. Rating: Four-star (I like it) Click here to purchase The 7 1/2 Deaths of Evelyn Hardcastle from amazon.com. Threats. 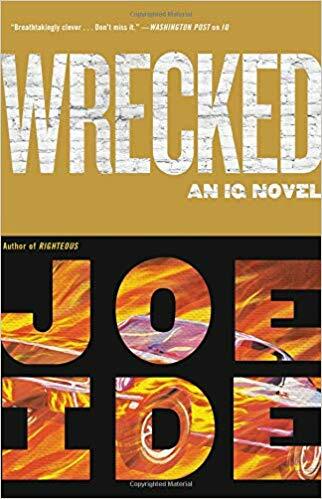 The third installment in Joe Ide’s IQ series is a novel titled, Wrecked. This time out, Isaiah Quintabe, IQ, seems more established in his private investigator business. That feeling of comfort leaves quickly as IQ gets in trouble, and finds himself in the crosshairs of the man who killed his brother, Marcus. IQ isn’t working alone and has found a new love interest. Readers who enjoy well-written character-based crime fiction are those most likely to enjoy this novel and this series. Rating: Four-star (I like it) Click here to purchase Wrecked from amazon.com. Stress. I don’t read many graphic novels and I try to stay on the lookout for ones that I think will be interesting and satisfying to read. 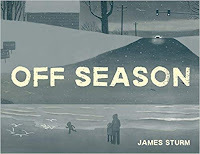 I thoroughly enjoyed James Sturm’s novel titled, Off Season. The book covers the stress and strain in a marriage, set during the divisive election year of 2016. The words and images combine to present a well-told story, and the mood is enhanced by the shades of gray throughout the book. For readers who don’t ever think to read graphic novels, consider this one. For fans of the genre, you may find this novel to be very satisfying. 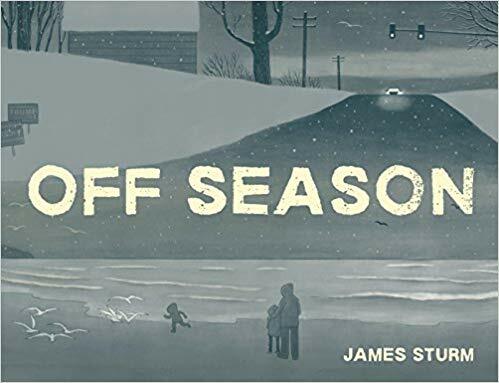 Rating: Four-star (I like it) Click here to purchase Off Season from amazon.com.